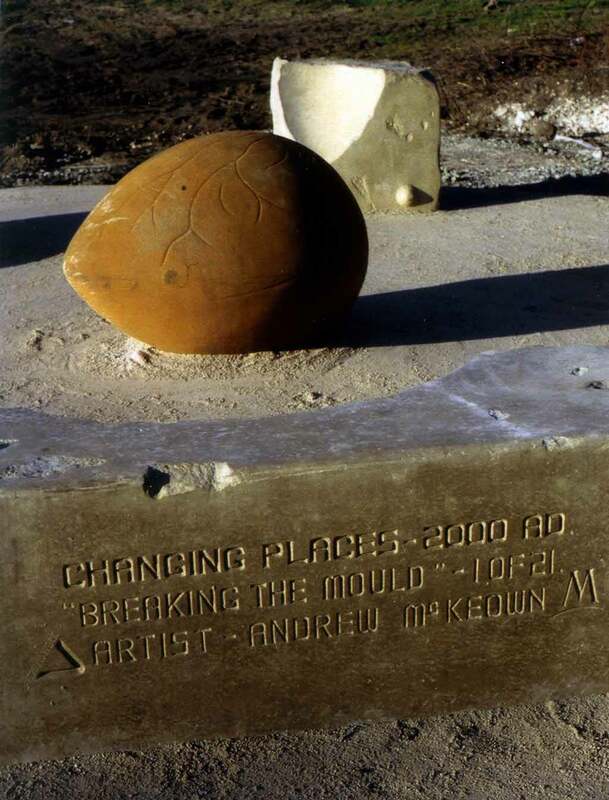 Groundwork UK, Changing Places Project Marker Sculpture. 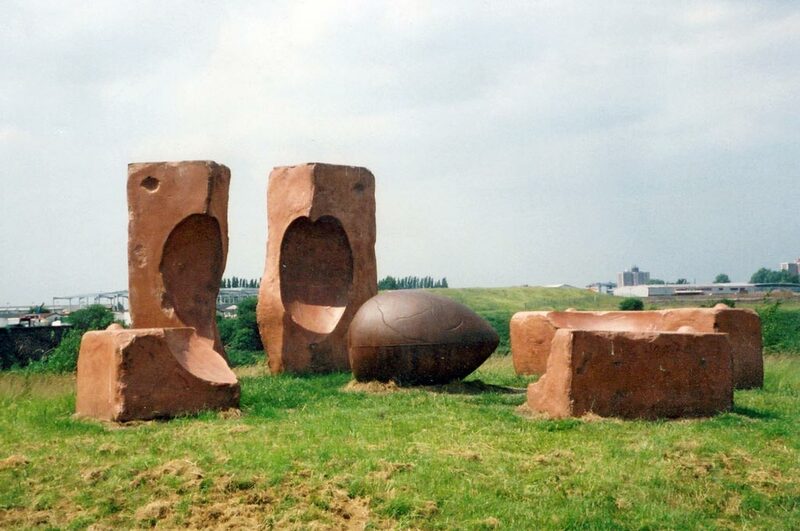 1 of 21 copies of the sculpture throughout the U.K. 2000. 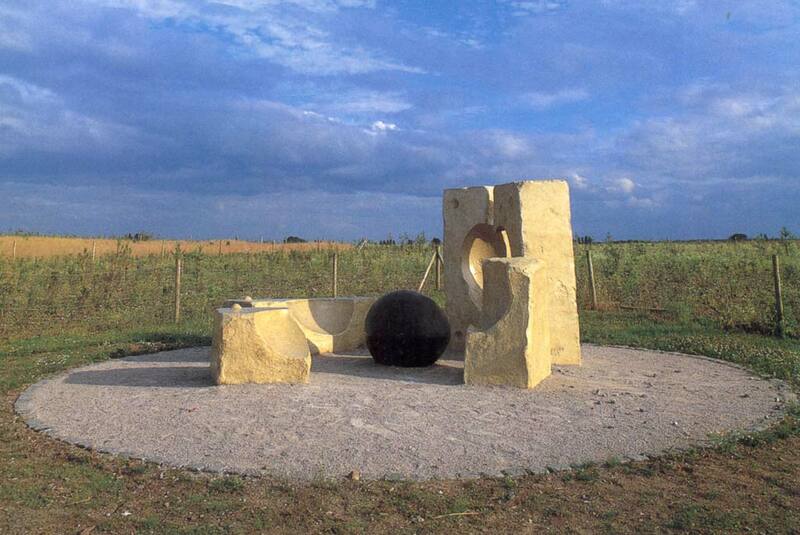 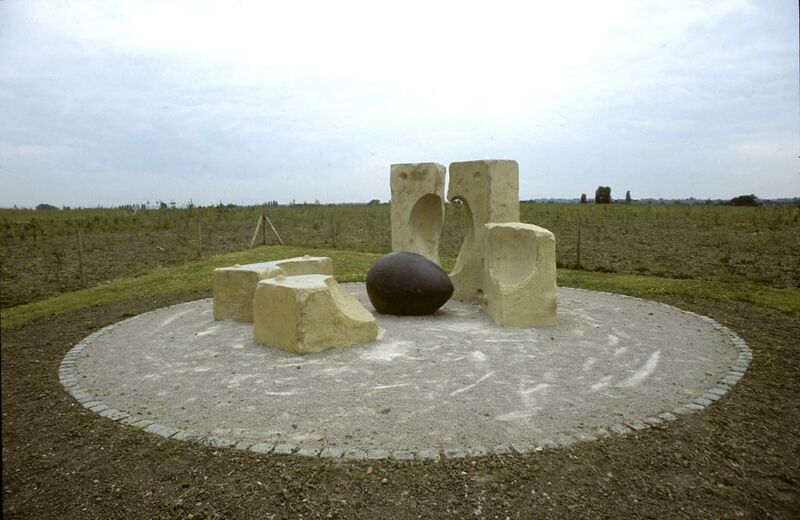 Cast stone and iron, 200 x 60 x 60 cm x 4. 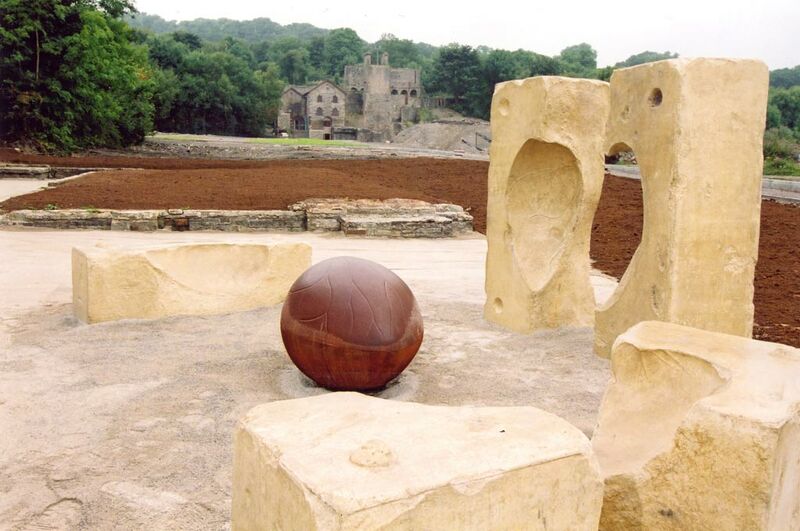 Breaking the Mould takes the form of a giant seed, which has emerged, from an industrial mould. 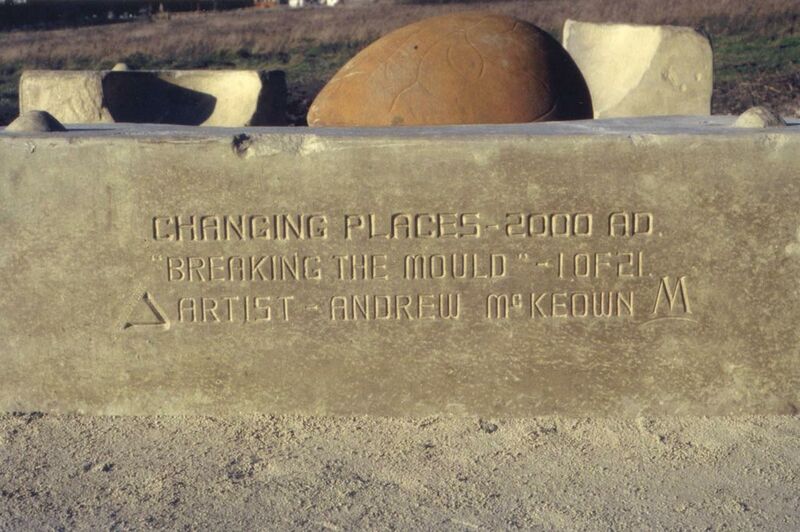 The mould is old and has been broken. 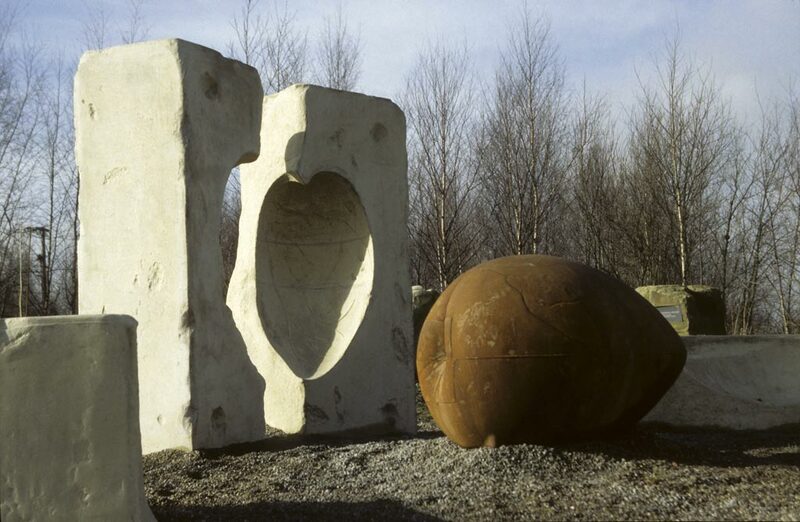 The sculpture represents new life and growth emerging from industrial decline. 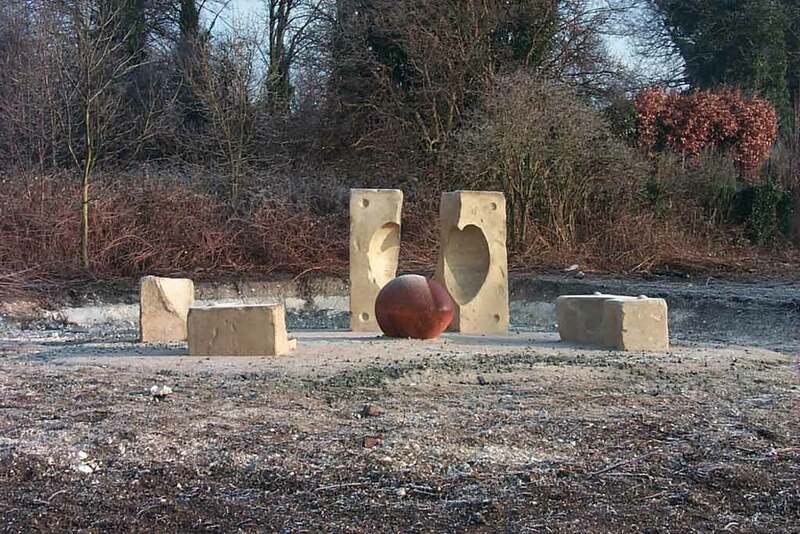 The six piece cast stone and iron sculpture was installed as a 'Marker' for each of the 21 Changing Places regeneration sites across England and Wales. 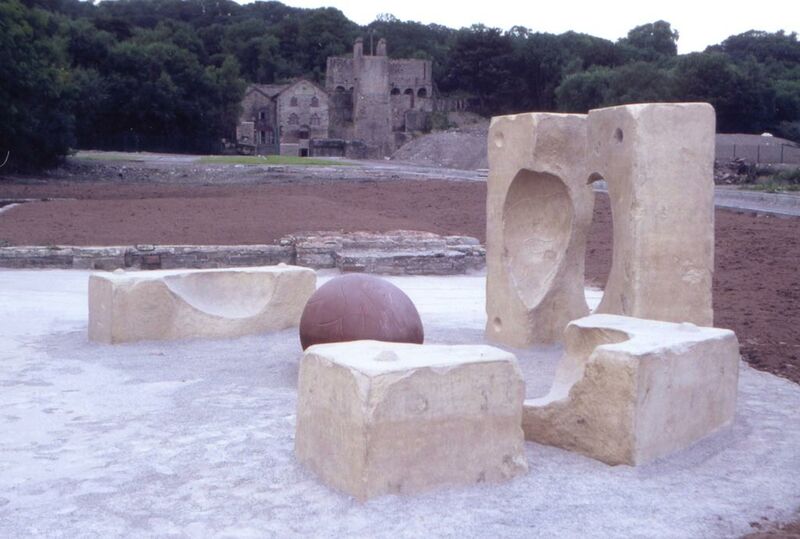 The sculpture celebrates and marks the £60 million Changing Places programme which transformed 1,000 hectares of post-industrial derelict land into parks and open spaces.